Alyson Stoner Reveals She Went to Rehab For Eating Disorders | Alyson Stoner | Just Jared Jr.
Alyson Stoner is sharing her story about seeking treatment for her eating disorders. The 25-year-old dancer and musician revealed that in 2011, she entered rehab for anorexia nervosa, exercise bulimia and binge-eating disorder, after years of suffering from career related health issues. “I had actually wanted to get help for some time, and my schedule didn’t allow for it. So I had already needed hospitalization, but I had to complete projects. The second that I finished the contract, I told my family that I was going. They knew. Everyone around knew,” Alyson told People. She added that things got so bad, that she was documenting “the grams of polyunsaturated fat and added sugar in every bite I ate” and even casting directors were noticing. “They would just tell me that I need help and [need] to go home and take care of my health because my eyes were sunken in and I was tired and lifeless. The scary part is I wasn’t even the smallest person on set,” Alison explained. While in treatment, Alyson was also diagnosed with generalized anxiety disorder, OCD tendencies and alexithymia, which is a dysfunction in emotional awareness often linked to PTSD. Thankfully, Alyson is doing much better today and wants her story to encourage fans to take care of themselves. “I just want [fans] to soak in it and find themselves in this story and use it as a weapon for their own good. I want them to know that I’m really grateful for their support and I just hold our conversations so precious and so near to my heart,” she concluded. 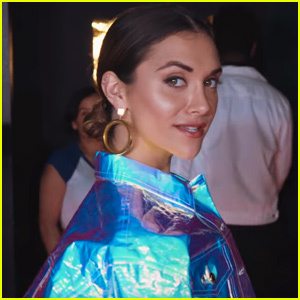 Alyson Stoner: 'Stripped Bare' Stream, Download, & Lyrics - Listen Now! Alyson Stoner Recaps 2018 In Her Annual Year End Mash-Up - Watch Now! 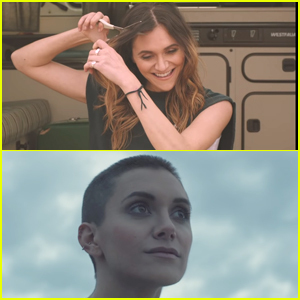 Alyson Stoner Shares First Gay On-Screen Kiss In 'Fool' Music Video - Watch Now!